Botox® and it’s cousins Dysport® and Xeomin® are the gold-standard for wrinkle reduction. Botox is an effective treatment for improving the appearance of dynamic wrinkles like the forehead “worry” lines, eyebrows, crow’s feet, bunny lines, and laugh lines. For wrinkle reduction, Botox works by relaxing the muscles that create facial movements which over time form dynamic wrinkles. Everyday expressions like smiling and frowning are caused by muscle contractions, and as we age our skin loses skin elasticity, resulting in the formation of wrinkles that become deeper as we age. By relaxing the muscles that cause these wrinkles, Botox not only smooths out these wrinkles, but it lets the skin rest helping prevent future lines as well. Dermal fillers can be used to bring back volume and contour the face, particularly the cheeks and temples. Not only that, but the lips can be plumped and perfected using dermal fillers like Restylane® and Juvederm®. To sculpt the face, there are two different types of facial fillers: hyaluronic acid gel fillers and collagen boosters. Hyaluronic acid gel fillers can instantly add volume or smooth out wrinkles, while collagen boosters such as Sculptra® can gradually build collagen and volume. Whatever your desired results, volume-adding treatments like dermal fillers can sculpt your face at the same time as they reduce signs of facial aging. Collagen and elastin are essential for keeping our skin tight and supple. As we age, this production slows and our skin begins to lose its battle with gravity and starts to thin, sag, and droop. The result is sagging and hollows in the cheeks and temples as well as jowls and turkey neck. This loss of facial definition and contour can be improved with a variety of non-invasive treatments. Dermal fillers like Juvederm® and Radiesse® can combat volume loss, while Sculptra can help boost collagen production. 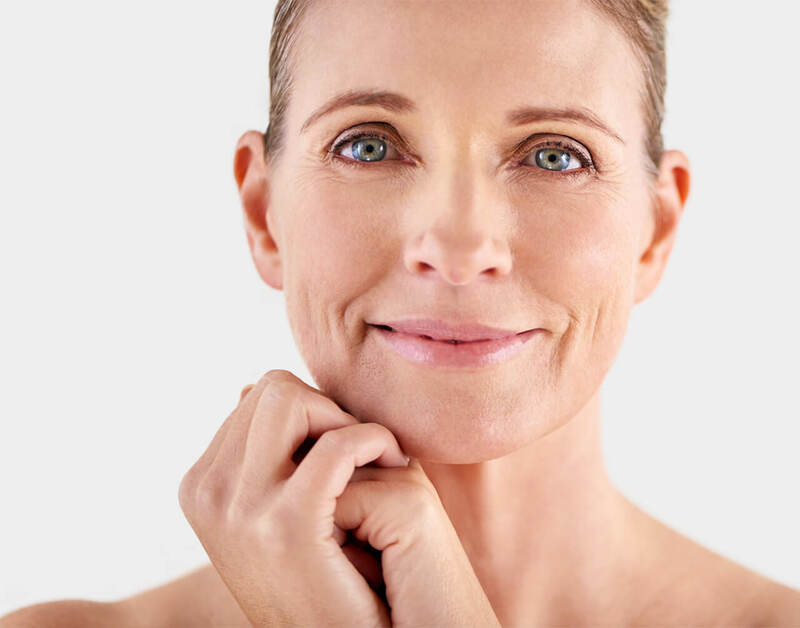 Innovative technologies like Ultherapy, Thermitight, Thermage, and Silhouette Instalift are non-invasive options that can provide skin tightening and lift. The information available on this website is provided for informational purposes only. This information is not intended to replace a medical consultation where a physician's judgment may advise you about specific disorders, conditions and/or treatment options. We hope the information will be useful for you to become more educated about your health care decisions.